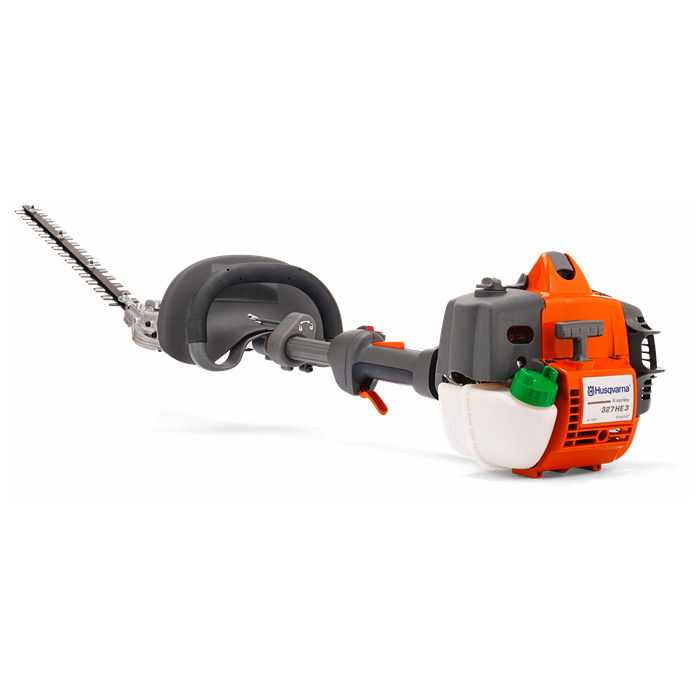 A very flexible, professional pole hedge trimmer with an adjustable cutter bar. The engine serves as a counterweight and makes the machine exceptionally well-balanced and comfortable to use. The reach and adjustable cutting bar make it suitable for both tall and low hedges, without a ladder or cherry picker. Intuitive controls for easy starting. 325HE3 is fitted with our X-TORQ engine.